Does your Plymouth need auto repair services? Make your way on over to John’s Automotive Care in San Diego and have your vehicle serviced by our team of skilled, professional auto mechanics. Although the Plymouth was discontinued in the year 2001 by Chrysler, John’s Automotive Care knows just how to find the parts you need to assure your vehicle stays up and running. 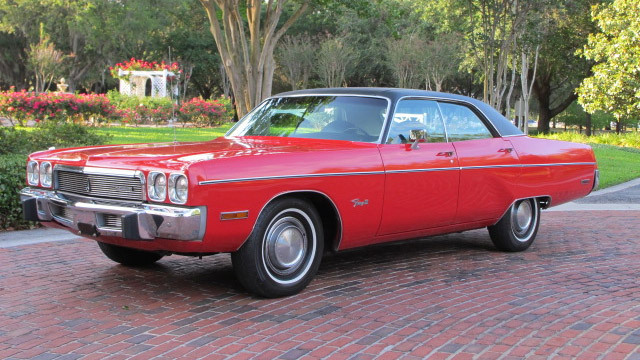 The Plymouth brand is very well known for its classic sporty cars. A well kept vintage Plymouth muscle car is sure to turn heads on the road nearly a quarter century after the brand’s discontinuation. Just imagine a bright yellow ‘73 Plymouth Cuda flying past you on the freeway. The Plymouth was quite reputable in its heyday, making it essential that our auto mechanics know your vehicle inside and out. “Finding a good, reputable mechanic is tough, and I was very happy to find this shop. The customer service, work and prices are great. They even gave me a ride to work and picked me up which was great so I didn't miss any work. If my truck needs work again I will be back. I really appreciated them not only explaining the work they did but showing me what they did as well. It was a very positive experience.” -- Brett S.
Call John’s Automotive Care today , if you have specific questions about your Plymouth or would like to schedule an appointment. Our auto repair shop is located at 6267 Riverdale Street in San Diego CA 92120. We look forward to securing the longevity, driveability, and safety of your beloved Plymouth.